Our Professional Code of Conduct Poster is a direct result of the Joint Commission's recent Sentinel Event Alert* with regards to intimidating and disruptive behaviors that foster medical errors. 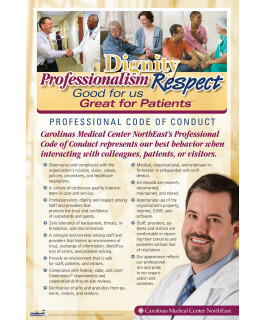 Our poster establishes a Professional Code of Conduct while reminding your staff that "Professionalism, Dignity, and Respect" are good for them and their patients. Our Professional Code of Conduct poster is an informative and attractive tool to communicate your organization’s professional behavior standards. This poster promotes, reinforces and encourages positive conduct among staff. Ideal to post in employee lounges, employee bulletin boards, medical staff lounges and conference rooms. Our Posters are printed digitally with Vivera® Inks on our exclusive ReStix™ repositionable vinyl and finished with disinfectant-safe ProteX™ Satina™ laminate. They also feature a 100 year no-fade guarantee. Click here to learn the 7 reasons our posters are a great value. You can choose other poster designs to meet the minimum order. You can also mix different posters sizes, e.g. 2- 16x24" and 3- 20x30". 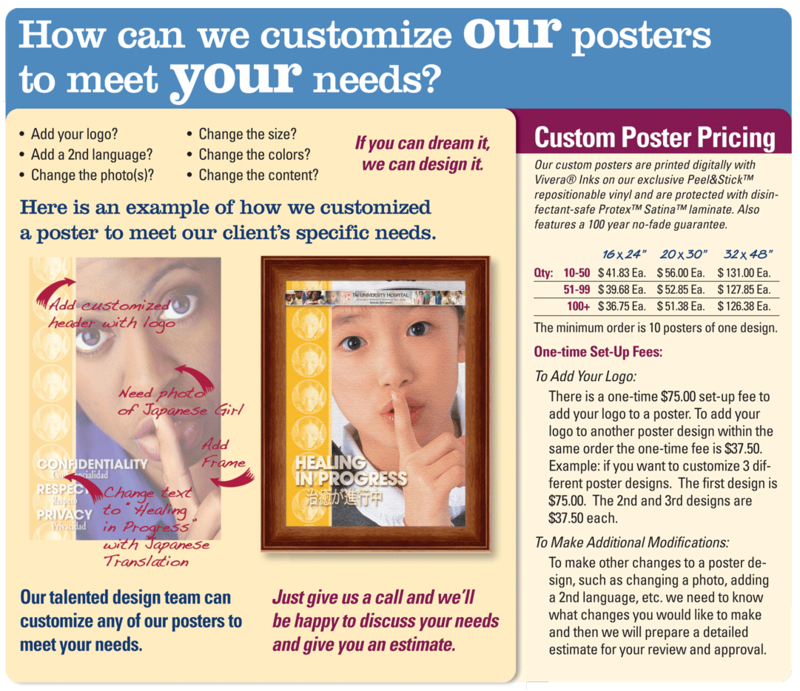 To Mix & Match posters, just call one of our friendly Customer Service Representatives at (877) 646-5877. 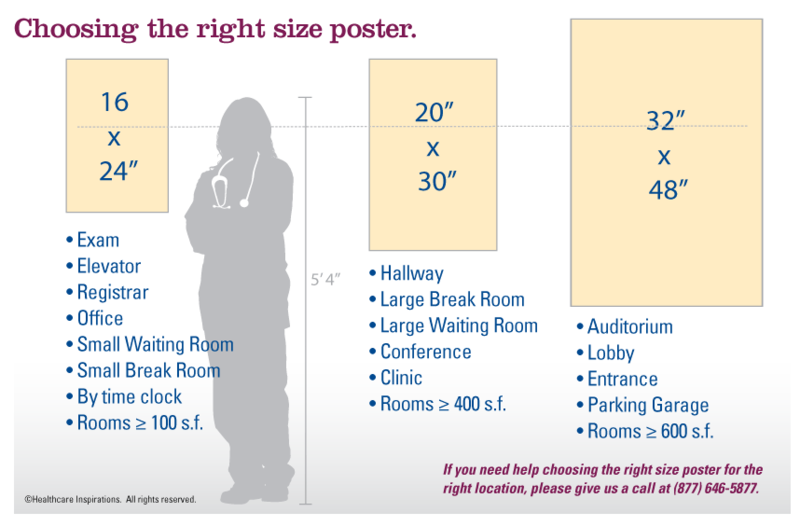 Need help choosing the right size poster? Click here.